Bret and I start the show talking about the our training, Bret talks about his trip to New York, and we note how incorporating play into workouts make training more fun. Next week’s show I speak with LeRoy Walker, a Bench press specialist who has a RAW PR of 675lbs ! 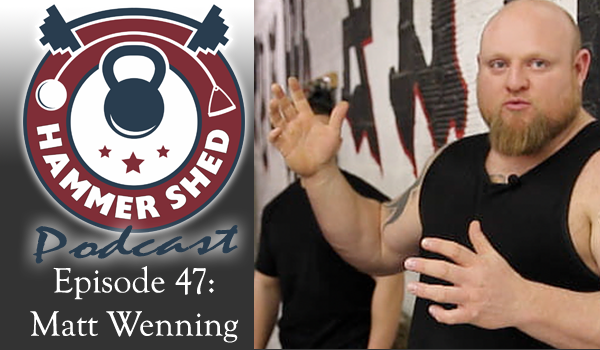 He and I talk about motivation, being an elite lifter, and the importance of consistency. My powerlifting program is coming to a close as I prepare for my powerlifting meet in Sept. All three of my lifts are steadily improving and I am hoping to PR in all three at the meet. Bret talks about how he is planning on adding some more bars at his gym to practice more calisthenic exercises. The topic for today’s episode is tracking. We talk about tracking our training, our nutrition, and other aspects of our everyday life so we can achieve our goals faster. We talk about the benefits of having a plan in place to reach our goals, how tracking every workout can help identify why issues may arise, and the importance of nutrition tracking when it comes to performance and aesthetic goals. I prefer to tack my workouts in electronic form so I can do further analysis on volume progress for individual lifts over time. I am in the process of developing some software for coaches and athletes to create and record programing. If you are interested in being a part of the BETA program please contact me at: info@hammershed.com those apart of the private beta program will not only help finalize the product but also receive a free lifetime membership to the program when if goes live. People ask me for tips on tracking nutrition. I recommend the LoseIt app or My Fitness Pal. Sometimes the suggested marcros/calories in the above mentioned apps are a touch off. If you are interested in guidance on a personalized plan just for you, send an to info@hammershed.com and we can get you started on plan JUST FOR YOU. Before I used my software I used Fitlist to track my workouts. A topic we touch on at the end is the use of velocity as a data point to track progress and also auto-regulate your programing. This a type of training I have never done although it looks very promising. We will bring an expert onto the show to talk more about it in the near future.